Macmillan’s foreword captures something of O’Connor’s personality as well as the significance of his achievements. Forty years later, this summation of O’Connor’s accomplishments is still germane. Born Michael O’Donovan in Cork in 1903, he became a prolific writer under the pseudonym Frank O’Connor. In a literary career that spanned forty-four years (1922 - 1966), he produced eleven collections of short stories. He also published two novels, one book of original poetry, seven books of translated Irish poetry, a biography, an autobiography, three travelogues on Ireland, eight plays, two selected anthologies of Irish writing, five books of literary criticism, and over three hundred articles and reviews on cultural, social and political issues. O’Connor additionally gave his attention to a great deal of radio work which included talks, dramatic productions, and broadcasts of his short stories. He was also actively involved in a myriad of letter debates in Irish newspapers from the 1920s to the 1950s. Within two years of his death in 1966, the second volume of his autobiography, an eighth book of translated Irish poetry and a sixth book of literary criticism appeared. Fifteen more collections of his short stories have been posthumously published. He also left behind a lifetime of almost daily-written correspondence to family, friends and colleagues, and an extensive collection of papers. Frank O’Connor was a driven and prodigious writer. As early as 1936 in O’Connor’s writing career, The Irish Times declared that there was ‘nothing to be gained by comparing his work with that of other masters of the short story: he is master among masters himself.’ Following the publication of his debut collection in 1931, Guests of the Nation, O’Connor’s exposure in America was considerable and he was always widely reviewed, generally in positive terms. From 1945 until his death, he was a regular contributor to the prestigious New Yorker periodical and, by the time of his death, he was widely recognised as an internationally important short-story writer. In fact, it is rare to encounter a general twentieth-century short-story anthology, and rarer still an Irish short-story anthology, which does not include a story by Frank O’Connor. O’Connor’s writings in other genres have also received critical merit. His extensive translations of Irish-language poetry are considered by Alan Titley to be ‘among the very best translations of Irish poetry’ that are available today. O’Connor’s translations have also been acclaimed by scholars such as Daniel Binchy, Brendan Kennelly, Douglas Sealy, Anthony Cronin and David Greene. O’Connor’s literary criticism is also not without acknowledged value. In his own lifetime, he was persistently solicited to write literary reviews for respected journals such as The New York Times Book Review, The New Yorker, The Irish Times, Yale Review and The New Statesman, among others. O’Connor’s The Lonely Voice (1962) is still in print and remains a seminal study of the short-story form. His introduction to the book and his theory of ‘submerged population groups’ is often disputed, cited, or used in contemporary examinations of the form. O’Connor’s selection and introduction to Classic Irish Short Stories is also still in print and repeatedly appears on short-story modules in universities across the world. His introduction to Joyce’s A Portrait of the Artist as a Young Man remains controversial but engaging, and has been republished several times. His literary history of Ireland, The Backward Look (1967), was also recently hailed as one of the ‘three magisterial books’ in twentieth-century Irish scholarship. Lastly, O’Connor’s biography of Michael Collins – The Big Fellow: A Life of Michael Collins (1937) – is still in print and is a text that scholars of the period have regularly engaged with in Irish historical studies. O’Connor was intellectually formed in the world of the Irish Literary Revival and pre-independence revolutionary nationalism, and he came of age during the Irish War of Independence and the Irish Civil War. It is a critical commonplace to state that O’Connor, along with other writers of his period – including Sean O’Casey, Liam O’Flaherty, Sean O’Faolain, Flann O’Brien, Mary Lavin and Patrick Kavanagh – was the principal means by which a counter-Revival aesthetic was launched. It is also a critical commonplace to note that these writers played a dominant role in the development of an oppositional perspective on Church and State discourse in the post-independence years. O’Connor’s relationship with the country of his birth was therefore complex and conflicted. The war experiences marked the beginning of O’Connor’s transformation from a romantic nationalist adolescent, in love with the idea of adventure, to a more realistic young man. He became disillusioned with, and frequently and bitterly fought against, Free State government and Church policies, but he was also a young adult who retained a deep love for his country, and its culture and traditions. It was this tension of contraries that became central to his writings. 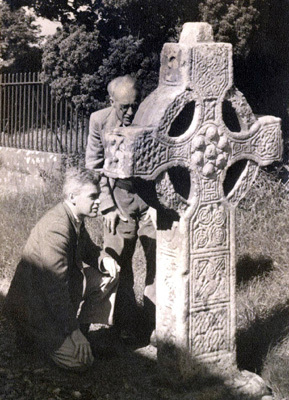 O’Connor’s impulse to circumvent what he considered the limitations of Irish life was coupled with a desire to reconcile his aspirations for Ireland with the country’s socio-political reality. O’Connor’s opinions on post-independence Church and State policy resulted in him believing that an overly pietistic and conservative state was the main obstacle to achieving a united country. Little attention was given by O’Connor to the fact that ‘perceived cultural difference’ between Ulster and the rest of the country ‘was one of the factors leading to partition in the first place’. Nor did he seem to realise that this perception had in part led to a deep determination by Ulster Unionists to uphold partition. Regardless of O’Connor’s calls for a united Ireland in his cultural criticism, he seldom sought to engage with the reality of Northern Ireland or to think through this conception of a united Ireland in his creative work. Moreover, in his travelogue of Ireland, Leinster, Munster, and Connaught (1950), the province of Ulster is noticeably missing. Of course, this absence can be explained by the fact that a separate travelogue on Ulster had been published the previous year by the same publishers of Leinster, Munster, and Connaught. In O’Connor’s book, Donegal is featured as one of the counties surveyed and he locates it as the ‘next-door neighbour to the six counties of Ulster.’ One of the few occasions where O’Connor contemplated Ulster’s cultural traditions was in his literary history of early Ireland in The Backward Look, and this engaged exclusively with the pre-colonial period. For a former anti-Treaty soldier, O’Connor’s writings indicate that he had imaginatively internalised the partitioning of Ireland. His post-independence nationalism instead amounted to an ambivalent attitude toward the Free State, and his ambivalence stemmed from his frustration with Church and State rule. It was this frustration, alongside his love of the country, which manifested itself in complex and conflicted portrayals of Ireland in O’Connor’s creative and critical work. 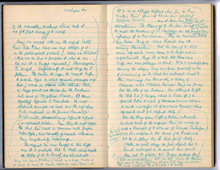 O’Connor carried this conflicted attitude into his personal life: in his work as a Free State librarian; his time spent as a director on the board of the Abbey Theatre in the mid-late 1930s; his work for the Ministry of Information and the BBC during World War II; his teaching at Trinity College, Dublin, and Harvard, Northwestern, Stanford and Berkeley universities; and his already-mentioned engagé publications. The work of O’Connor comprises a cultural history of mid-twentieth-century Ireland as it was implicated directly in the friction and accord that engulfed Irish life in these decades. Censorship; the Irish language; the discourse of re-Gaelicisation; the role of the Catholic Church; priesthood, Free State government policy; Irish historiography; Irish cultural history; Ireland’s national literature; republican politics; the importance of the reader; various social issues including poverty, illegitimacy and loveless marriage; and the development of Ireland’s national theatre: O’Connor fearlessly attempted to play an active part in public discussion of these areas over the course of his career. This style of critical interpretation is typical of the entire book. The only other available monograph is Michael Steinman’s Frank O’Connor at Work (1990). O’Connor constantly revised his stories, even those already published, in his lifetime, and this is because of his never-ending strivings for perfectionism in the form. Steinman’s study provides close textual criticism on variant drafts of seven of O’Connor stories. It is a valuable exercise in that it traces the development of O’Connor’s craftsmanship over the course of his writing career, and illuminates more concisely what O’Connor was attempting to achieve in each of these stories. Substantially more critical attention needs to be paid to the act of revision in O’Connor’s work, and this could include tracking the development of the stories at manuscript level, but, for now, Steinman’s monograph is the only publication available on the subject. This researcher would also contend that Matthews’ analysis of some of O’Connor’s most important creative works is often cursory and unenlightening, and an abundance of O’Connor’s more minor writings are ignored. A substantial amount of the biography is taken up with Matthews’ speculations regarding O’Connor’s psychological state at various points in his life. The most useful aspect of Matthews’ four hundred and fifty page biography is the in-depth chronology it provides of O’Connor’s life and work. Of course, the difficulty with writing a biography of O’Connor, or indeed surveying the secondary source material available, is that a complete bibliography has yet to be published. Instead, two select bibliographies have appeared to date. Evans and Harp’s collection helpfully contains a more up-to-date select and annotated bibliography by Kerrigan, and he situates it in tandem with the still informative select bibliography that was first published in Maurice Sheehy’s edited collection, Michael/Frank (1969). Like any selection, however, both bibliographies are limited in scope; both also contain some classification errors. However, one of the most important unpublished works of biographical research on O’Connor was carried out by the late Professor Ruth Sherry from Trondheim University in Norway. Sherry spent over twenty years of her academic career sourcing and collating the most comprehensive collection of references in relation to O’Connor’s professional career. The result is an exhaustive list of three thousand, two hundred index cards, alongside twelve large boxes of periodical material and a complete collection of O’Connor’s book publications (which includes all editions in all languages). 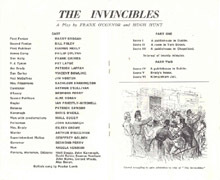 Thanks to O’Connor’s widow, Harriet O’Donovan Sheehy, who inherited the collection, this material has recently been donated to University College Cork and work is currently being performed on the material to transfer it into the world’s first O’Connor digital bibliography [for further details on this project, see this site’s main menu option of ‘Bibliography’]. The fact that O’Connor was such a prolific writer but no complete bibliography is currently available perhaps partially explains why there is a scarcity of secondary source material available on the writer, as there is a correlating difficulty with sourcing his writings. However, this does not fully answer the question as to why O’Connor suffered from critical neglect for so many years. It would appear that the vast majority of scholarly work on O’Connor was published between the late 1960s and early 1980s and was chiefly of American authorship. A number of articles and edited publications have appeared in recent years, but it would seem that it is mainly because of American interest (which accounts for nearly all of the unpublished postgraduate theses on him) that his work has managed to survive into contemporary criticism. O’Connor’s most successful creative works were in the short-story genre, a genre that seems to have attracted substantially less critical attention in Irish Studies than any other form of creative writing. Internationally, introductions to and stylistic theorising about the short story has produced several publications but these publications contain for the most part little or no mention of the Irish practitioners of the form (Joyce excluded). Irish short-story writers produced their own studies of the genre, including O’Connor’s influential study, The Lonely Voice (1962), and Sean O’Faolain’s The Short Story (1948), and Irish writers also began to receive more critical attention with the appearance of such edited publications as Patrick Rafroidi and Terence Brown’s The Irish Short Story and James F. Kilroy’s The Irish Short Story: A Critical History. Yet, the long shadows cast by the three ‘giants’ of twentieth-century Irish literature, Yeats, Joyce and Beckett, seem to have focused most of the attention away from the genre. Joyce’s Dubliners and Beckett’s More Pricks than Kicks were largely ignored in the early days of Joycean and Beckettian criticism; in the case of Yeats, examination of his short fiction has been scant and has tended to focus on his occult interests in the late nineteenth century. There is also a prevailing attitude in the world of fiction publishing that the short story belongs to ‘the domain of apprenticeship ... before the writer matures into the more serious version of the saleable fiction writer – which is the novelist’. This devalued status has perhaps transferred into academia and resulted in a dearth of material on the subject. More recently, however, a new and informative publication has appeared on the Irish short story and it assesses some of the most neglected practitioners of the form – especially women writers such as Emily Lawless, George Egerton and Norah Hoult. The publication also importantly re-contextualises the writers examined within a literary history of an Irish short story tradition. Yeats’s short stories, for example, have been assessed within the context of a fin de siècle modernist Irish short-story tradition. This development, alongside the appearance of new critical studies of Irish writers, which include critical scrutiny of their short fiction, bodes well for the sustained development of in-depth research resources for the study of the genre. These new critical studies include examination of short stories by writers such as Maria Edgeworth, William Carleton, Samuel Ferguson, Emily Lawless, Somerville and Ross, Oscar Wilde, George Moore, James Joyce, Maeve Brennan, Bryan MacMahon, Edna O’Brien, Brian Friel, William Trevor, Colm Tóibín and Anne Enright. In relation to additional reasons for the late-twentieth-century neglect of O’Connor, one factor that could be considered is that from very early in his career, O’Connor was critically established as an old-fashioned realist. He had always loudly proclaimed his admiration for nineteenth-century realist writers such as Gogol, Maupassant and Chekhov; he especially professed the influence of Ivan Turgenev on his writing. ‘Old-fashioned realist’ was a term that, while not always meant to sound derogatory, helped to build O’Connor’s reputation as a dated and perspicuous writer, who wrote simple, funny, ‘airy’ stories – or ‘coloured balloons’ as Patrick Kavanagh once termed O’Connor’s writing. The consensus seemed to be that his work did not merit academic explication. Moreover, all of O’Connor’s fiction and drama, with the exception of a few stories set in England and which were mostly based on the experiences of the Irish diaspora, were placed in a local Irish setting (he once said that this was because he knew to a syllable how everything in Ireland can be said); it was perhaps because of this strong sense of place that ultimately led to him being labeled as dated. Furthermore, he was well known for his sometimes visceral criticisms of Irish life throughout his career. This did not endear him to the social and political establishment. Several of his books were banned over the years; he also endured an unofficial ‘blacklisting’ by the State authorities during World War II. The pressures of enlisting nationwide support and perpetuating a neutral consensus during the war years ensured the disappearance of O’Connor’s lucrative radio work, and O’Connor and his family endured financial hardship throughout the 1940s. At one stage, he was publicly denounced as an ‘anti-Irish Irishman’ in an editorial of the Irish Press (15 December 1949) for an article he had just published which revealed some of the true social conditions in Ireland (‘Ireland’ in Holiday, 6 December 1949). O’Connor eventually went into exile in America for most of the 1950s where his career flourished (this explains much of the American interest in his work). When he returned to Ireland in September 1961, he gradually began to receive recognition and was awarded an honorary doctorate by Trinity College, Dublin, in July 1962. This reappraisal of his worth was all too brief and he died on 10 March 1966.
increasingly difficult for O’Connor to get his due as a writer in the new Ireland that has come into existence since Ireland joined the EEC in 1973, and since the Celtic Tiger roared in the 1990s, that knows little of the high romance which inspired a revolutionary generation, nor of the disillusionment and frustration of the first four decades of independence. Brown concluded that ‘it perhaps takes time for a writer like O’Connor who was so much of his time and place to be appreciated by succeeding generations.’ By the end of the twentieth century most of O’Connor’s books were out of print. Recent events in Ireland and Britain would indicate a new interest being attached to O’Connor’s work. The largest international monetary prize for a short-story collection is currently The Frank O’Connor International Short Story Award, which is organised by the Munster Literature Centre and in association with The Irish Times since 2006. Attention is also being given to his writings with the republication of his study of the short story, The Lonely Voice (Cork: Cork City Council, 2003). A new collection of his short stories, selected by the British writer Julian Barnes, was recently published by Penguin Classics, My Oedipus Complex and Other Stories (2005). Penguin also republished his autobiographies as a two-volume book, An Only Child and My Father’s Son (2005), and this publication was introduced by critic Declan Kiberd, who stated that the ‘volumes are justly counted among the classics of Irish writing’. 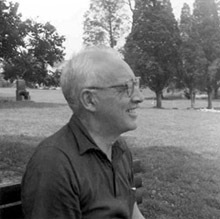 In addition, a new Everyman edition of his writing was published in 2009, The Best of Frank O’Connor. These various ventures would suggest that O’Connor’s work will survive for a new readership in the twenty-first century. However, in terms of available secondary source material that is based on one of the country’s most distinguished and underrated men of letters, this research website also serves as an argument for a more sustained development of Frank O’Connor Studies. Macmillan, Harold, ‘Foreword’, Sheehy, Maurice (ed. ), Michael/Frank: Studies of Frank O’Connor with a Bibliography of his Writing (Dublin: Gill and Macmillan, 1969), vii. Prime Minister of Britain from 1957-1963, Macmillan was chairman of his family’s publishing house, Macmillan, from 1964-1974. O’Connor had a long-standing relationship with the publishing company, dating back to the publication of his first book, Guests of the Nation, in 1931.
Review of Bones of Contention, The Irish Times (7 March 1936), 7. See: Evans, Robert, ‘Frank O’Connor’s American Reception: the First Decade (1931-41)’ in Lennon, Hilary (ed. ), Frank O’Connor: Critical Essays (Dublin: Four Courts Press, 2007), 71-86. Titley, Alan, ‘The Interpretation of Tradition’, Lennon (ed. ), Frank O’Connor: Critical Essays, 219. See, for example, Taylor, Geoffrey, ‘The Poetry of Frank O’Connor’, The Bell, 11:3 (December 1945), 779-787; Binchy, D.A., ‘The Scholar-Gipsy’, Sheehy, Maurice (ed. ), Michael/Frank, 16-22; Kennelly, Brendan, ‘Little Monasteries’, Ibid., 103-113; Greene, David, ‘Poet of the People’, Ibid., 137-139; Sealy, Douglas, ‘Translations of Frank O’Connor’, The Dubliner, 2 (Summer 1963), 76-84; Cronin, Anthony, ‘Irish Poetry and Life’, Review of Kings, Lords, & Commons and An Only Child, The Times Literary Supplement (30 June 1961), 395. Also see: O’Faolain, Sean, ‘Poems from the Irish’, Review of The Fountain of Magic and Lords and Commons, Spectator, 162 (10 March 1939), 416; Mercier, Vivian, ‘Stories, Songs, and People’, Review of Kings, Lords, & Commons, Nation (3 October 1959), 196-197. Poet Austin Clarke was one of the few reviewers who tended to be quite critical of O’Connor’s translations: see, for example, Clarke, Austin, ‘Poems from the Irish’, Review of The Wild Bird’s Nest, The Times Literary Supplement (11 August 1932), 567; Clarke, ‘Poetry’, Review of The Fountain of Magic, The Times Literary Supplement (18 March 1939), 166; Clarke, ‘Early Irish Poems’, Review of The Little Monasteries, The Times Literary Supplement (18 October 1963), 830. O’Connor, Frank (ed., selec. & intro. ), Modern Irish Short Stories (Oxford: Oxford University Press, 1957); repr. as Classic Irish Short Stories (Oxford: Oxford University Press, 1985). O’Connor, Frank, ‘Introduction’, A Portrait of the Artist as a Young Man (New York: Time Reading Program, 1964), xv-xxi. Deane, Seamus, Public Interview with Conor McCarthy, Mater Dei Institute of Education (Dublin: November 2007). The other two books that Deane included in this group were Vivian Mercier’s The Irish Comic Tradition (1962; repr. London: Souvenir Press, 1991) and Daniel Corkery, The Hidden Ireland: A Study of Gaelic Munster in the Eighteenth Century (Dublin: Gill, 1924; repr. Dublin: Gill and Macmillan, 1996). Mayo, Ben [O’Connor, Frank], ‘Partition – the people are bewildered says Ben Mayo’, Sunday Independent (7 May 1944); repr. in The Journal of Irish Literature, IV:1 (January 1975), 128 [O’Connor’s emphasis]. O’Connor served up this opinion behind the ‘mask’ of Ben Mayo, but he would also reiterate this stance on several occasions in later years, particularly in his talks in American universities: see, for example, Matthews, James, Voices: A Life of Frank O’Connor (Dublin: Gill and Macmillan, 1983), 340. Vance, Norman, ‘Region, Realism and Reaction, 1922-1972’, Foster, John Wilson (ed. ), The Cambridge Companion to the Irish Novel (Cambridge: Cambridge University Press, 2006), 154. Shearman, Hugh, Ulster (London: Robert Hale, 1949). O’Connor, Frank, Leinster, Munster, and Connaught (London: Robert Hale, 1950), 268. See: O’Connor, Frank, The Backward Look: A Survey of Irish Literature (London: Macmillan, 1967), 9-67. Evans, Robert C. & Richard Harp (eds), Frank O’Connor: New Perspectives (West Cornwall, CT: Locust Hill Press, 1998), xv. Wohlgelernter, Maurice, Frank O’Connor: An Introduction (New York: Columbia University Press, 1977), 91. Steinman, Michael (ed. ), ‘Frank O’Connor Issue’, Twentieth Century Literature, 36:3 (Fall 1990); Matthews, James (ed. ), The Journal of Irish Literature, IV:1 (January 1975). McKeon, James, Frank O’Connor: A Life (Edinburgh: Mainstream Publishing, 1998); Matthews, Voices, 1983. Kerrigan, John C., ‘A Bibliography of Works by and about Frank O’Connor’, Evans & Harp (eds), Frank O’Connor: New Perspectives, 422. Kerrigan, Ibid., 397-446; Sheehy (ed. ), Michael/Frank, 168-199. McKeon’s publication also includes a select bibliography but it seems to be based on the Sheehy publication. Classification errors in Sheehy’s edition are repeated in McKeon’s work. In relation to the Kerrigan bibliography published in Frank O’Connor: New Perspectives, it dates the first publication of My Oedipus Complex and Other Stories as 1969 instead of 1963; Moses’ Rock was first performed on 28 February 1938 and not 25 February 1937; Time’s Pocket was not written in collaboration with Hugh Hunt; O’Connor served as a director on the Abbey Theatre board from 1935-1939 and not 1937-1941; O’Connor’s Paris Review interview with Anthony Whittier was first published in 1957 and reprinted in 1958, while the bibliography provides a date of 1959 with no reference to the fact that it is another reprint date; apart from the mention of Three Old Brothers and Other Poems, there are no other listings for O’Connor’s original poetry, despite numerous references to the original poetry in the Frank O’Connor: New Perspectives chronology by John M. Burdett and Robert C. Evans. The chronology also contains some errors: the original poem ‘Peasants’ (1922) is listed as a short story; the original poem ‘Mozart’ is listed as an article. In relation to the Sheehy bibliography, the translation ‘Suibhne Geilt Speaks’ is listed as an original poem; the translation ‘The End of Egan O’Rahilly’ is listed as an original poem; the translation ‘The Stars are Astand’ is listed as an original poem; the original dramatic poem ‘At the Wakehouse’, Theatre Arts Monthly, x (June 1926), 412-414, is not listed; the original poem ‘Peasants’ (1922) is listed as a short story; the original poem ‘Mozart’ is listed as an article. Some of the few exceptions to this treatment of Irish short-story writers and of O’Connor in particular are: Bates, H.E., The Modern Short Story: A Critical Survey (London: Nelson, 1941); Allen, Walter, The Short Story in English (Oxford: Clarendon Press, 1981); and Hanson, Clare, Short Stories and Short Fictions, 1880-1980 (London and Basingstoke: Macmillan, 1985, repr. 1987); all three books contain some critical commentary on his work. Rafroidi, Patrick & Terence Brown (eds), The Irish Short Story (Lille: Université de Lille, 1979); Kilroy, James F. (ed. ), The Irish Short Story: A Critical History (Boston: Twayne, 1984). Kenny, John, ‘Inside Out: A Working Theory of the Irish Short Story’ in Lennon (ed. ), Frank O’Connor: Critical Essays (2007), 100. Ingman, Heather, A History of the Irish Short Story (Cambridge: Cambridge University Press, 2009), 55-70. See, for example: Murphy, Sharon, Maria Edgeworth and Romance (Dublin: Four Courts Press, 2004); Brand, Gordon (ed. ), William Carleton: the Authentic Voice (Gerrards Cross: Colin Smyth, 2006); Patten, Eve, Samuel Ferguson and the Culture of Nineteenth-Century Ireland (Dublin: Four Courts Press, 2004); Hansson, Heidi, Emily Lawless 1845-1913: Writing the Interspace (Cork: Cork University Press, 2007); Stevens, Julie Anne, The Irish Scene in Somerville and Ross (Dublin: Irish Academic Press, 2007); Killeen, Jarlath, The Fairy Tales of Oscar Wilde (Burlington, VT: Ashgate, 2007); Pierse, Mary (ed. ), George Moore: Artistic Visions and Literary Worlds (Newcastle: Cambridge Scholars, 2006); Frawley, Oona (ed. ), A New and Complex Sensation: Essays on Joyce’s Dubliners (Dublin: Lilliput Press, 2004); Bourke, Angela, Maeve Brennan: Homesick at the ‘New Yorker’ (London: Jonathan Cape, 2004); Fitzmaurice, Gabriel, The World of Bryan MacMahan (Cork: Mercier Press, 2005); Laing, K, S. Mooney and M. O’Connor (eds), Edna O’Brien: New Critical Perspectives (Dublin: Carysfort Press, 2006); Harp, Richard and Robert Evans (eds), A Companion to Brian Friel (West Cornwall, CT: Locust Hill Press, 2002); Fitzgerald-Hoyt, Mary, William Trevor: Re-imagining Ireland (Dublin: Liffey Press, 2003); Delaney, Paul (ed. ), Reading Colm Tóibín (Dublin: Liffey Press, 2008); Bracken, Claire and Susan Cahill (eds), Anne Enright (Visions and Revisions: Irish Writers in Their Time (Dublin: Irish Academic Press, 2011). Thompson, Richard J., ‘A Kingdom of Commoners: The Moral Art of Frank O’Connor’, Éire-Ireland, 13:4 (Winter 1978), 66. O’Sullivan, Kevin, Review of Frank O’Connor’s Collected Stories (Knopf), Irish Literary Supplement (Spring 1983), 37. Brown, Terence, ‘Frank O’Connor and a Vanishing Ireland’, Lennon (ed. ), Frank O’Connor: Critical Essays, 48-49. Kiberd, Declan, ‘Introduction’, O’Connor, Frank, An Only Child and My Father’s Son (London: Penguin, 2005), xiii.